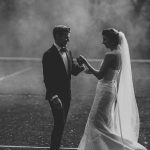 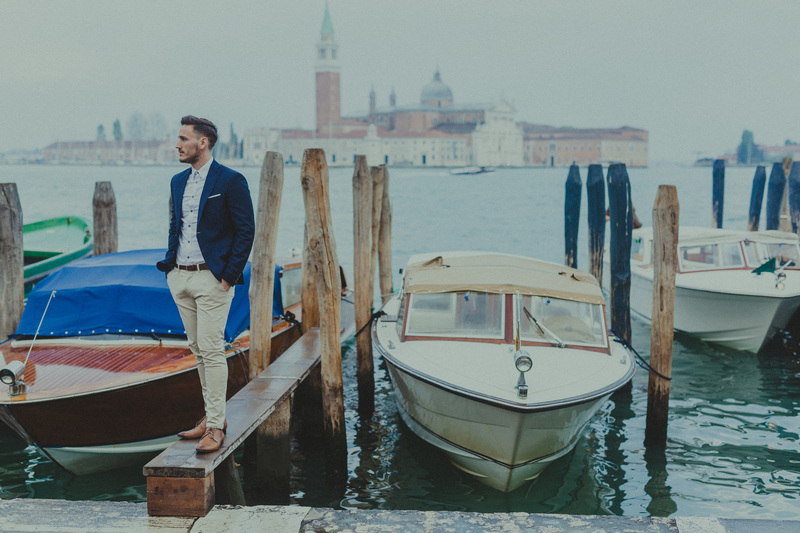 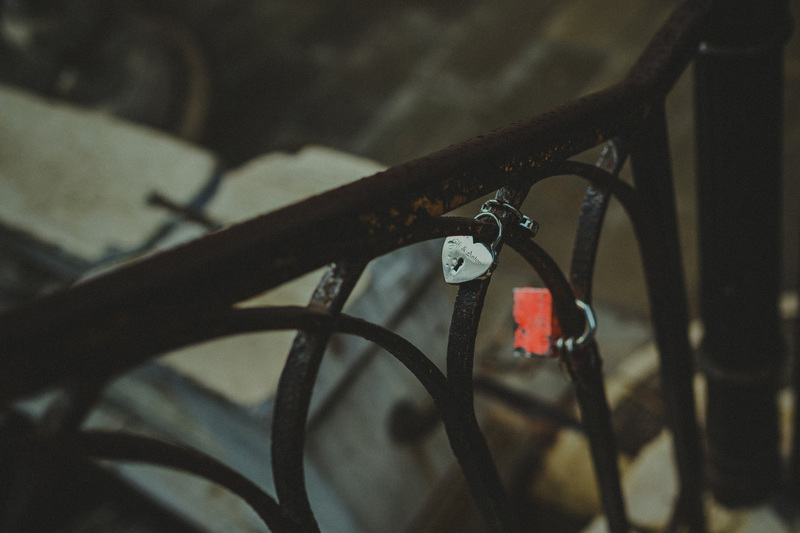 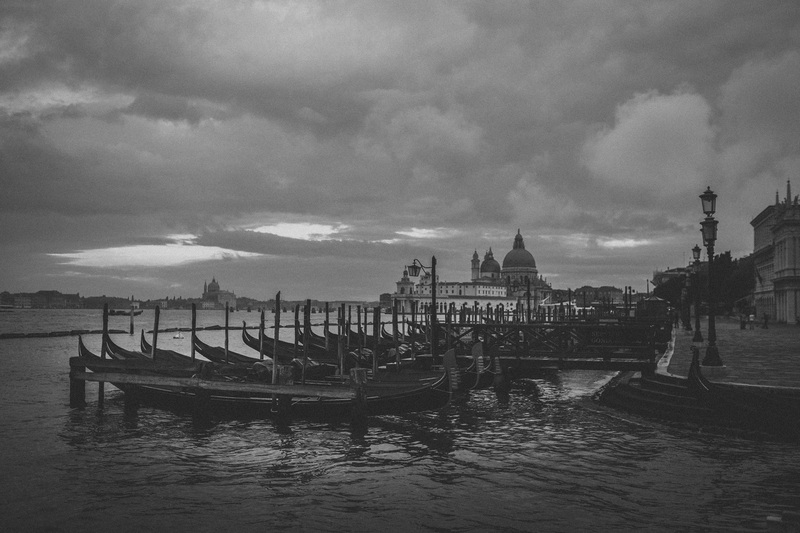 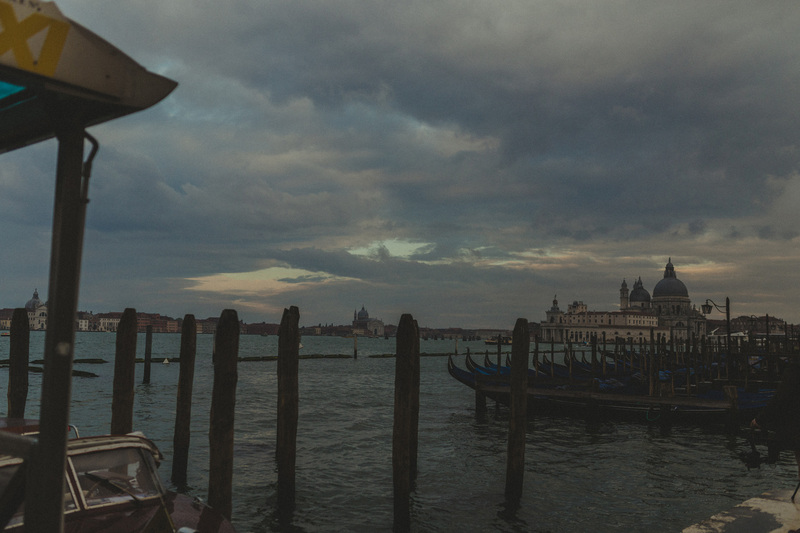 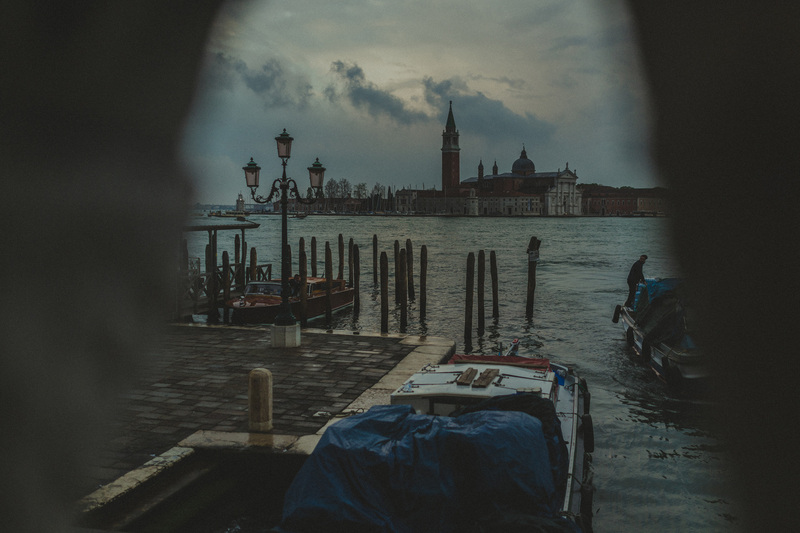 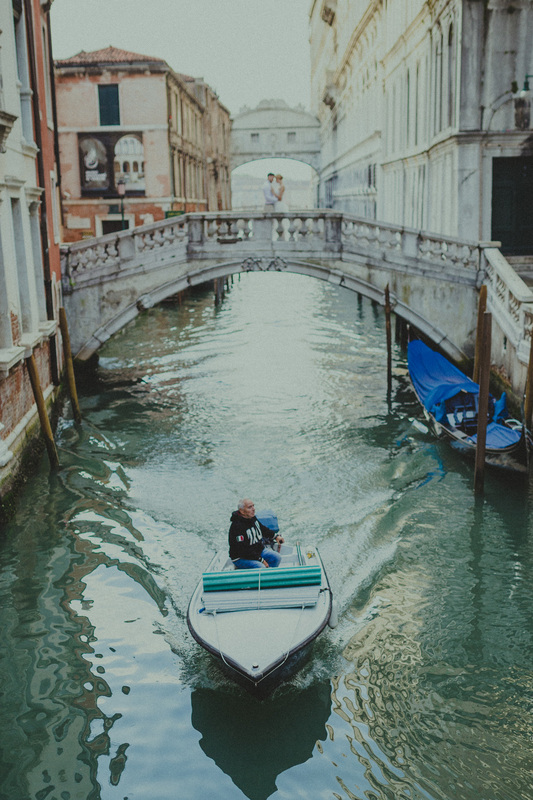 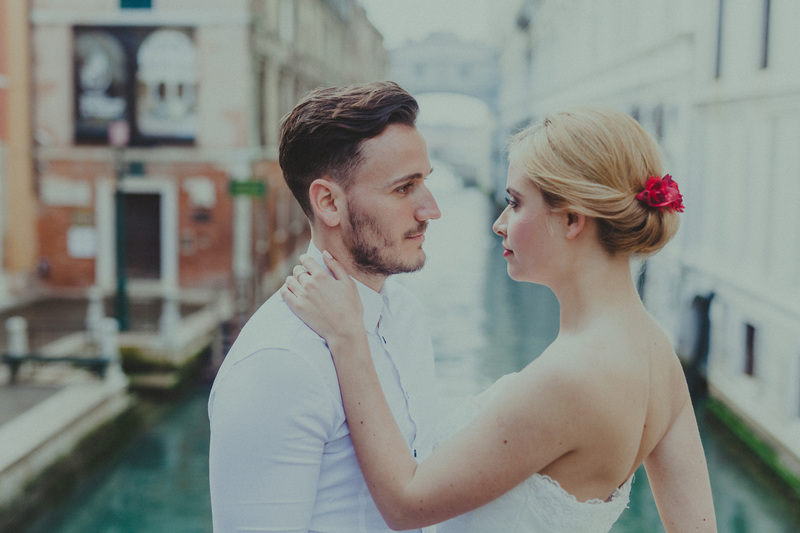 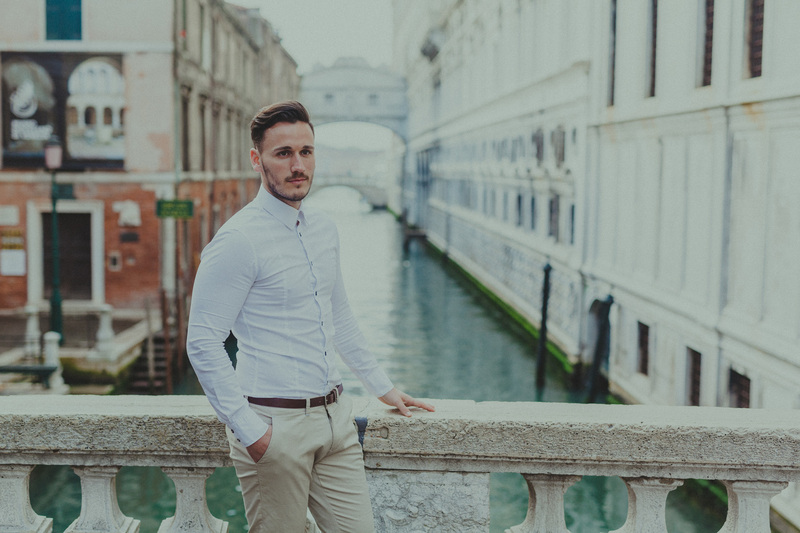 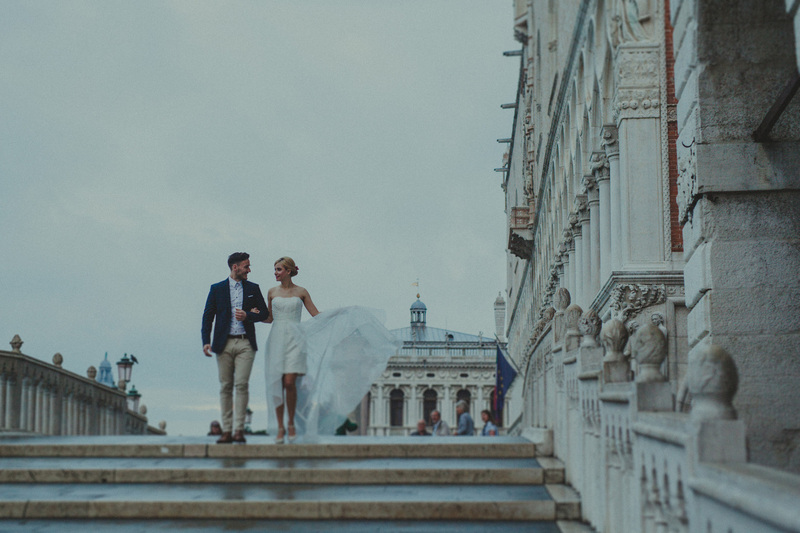 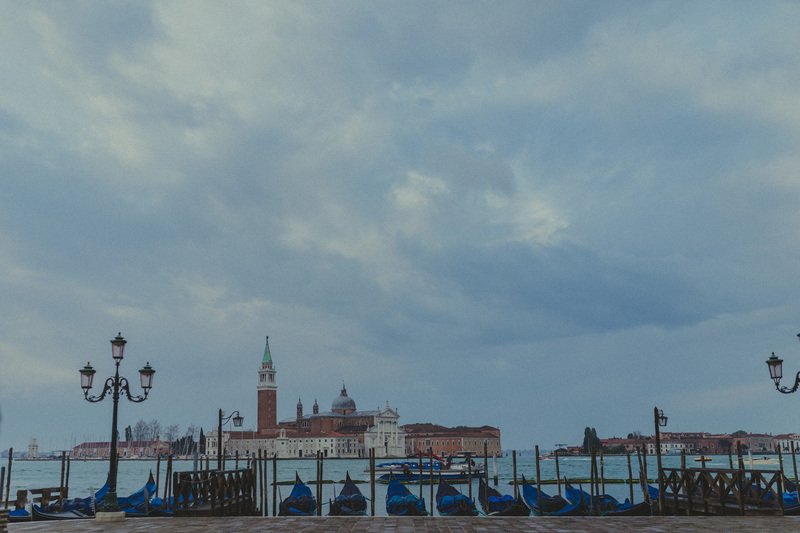 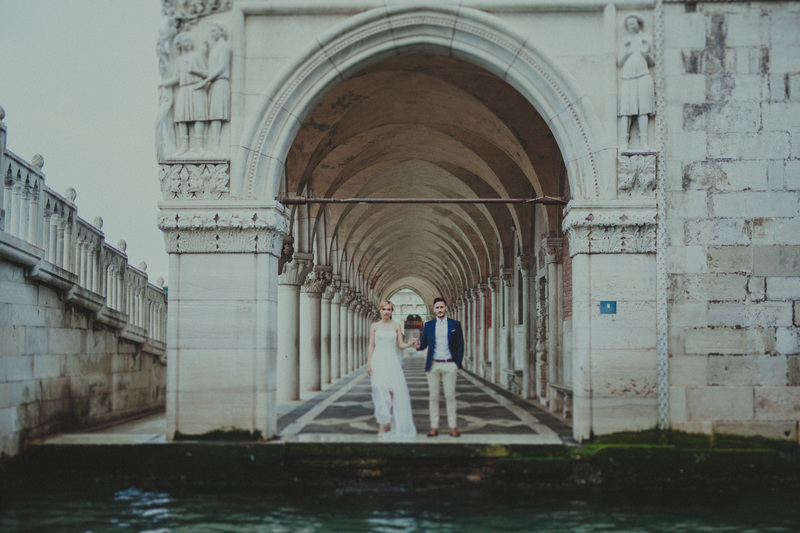 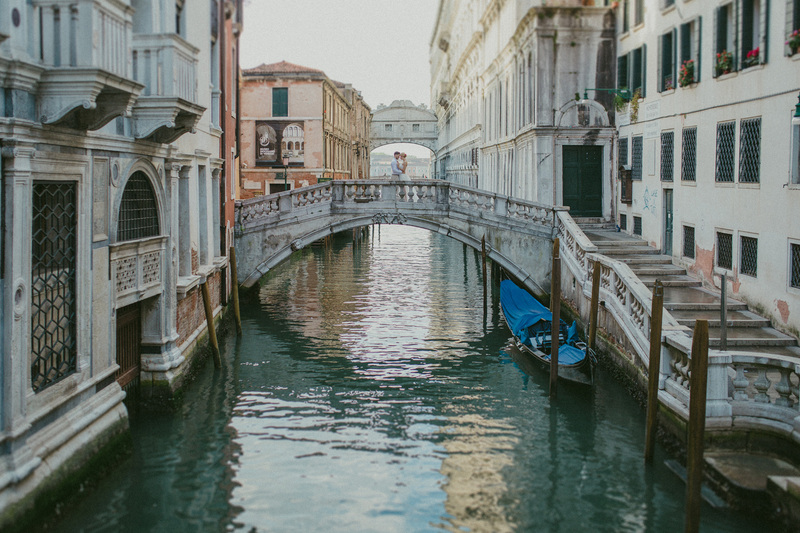 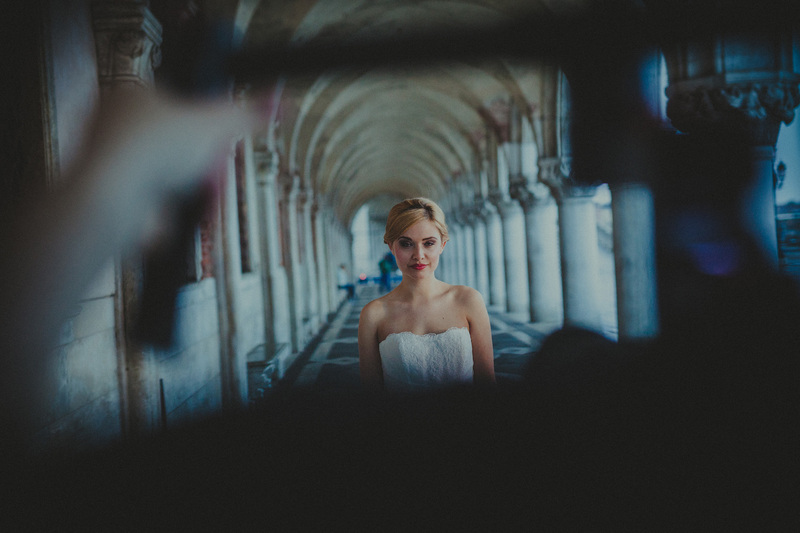 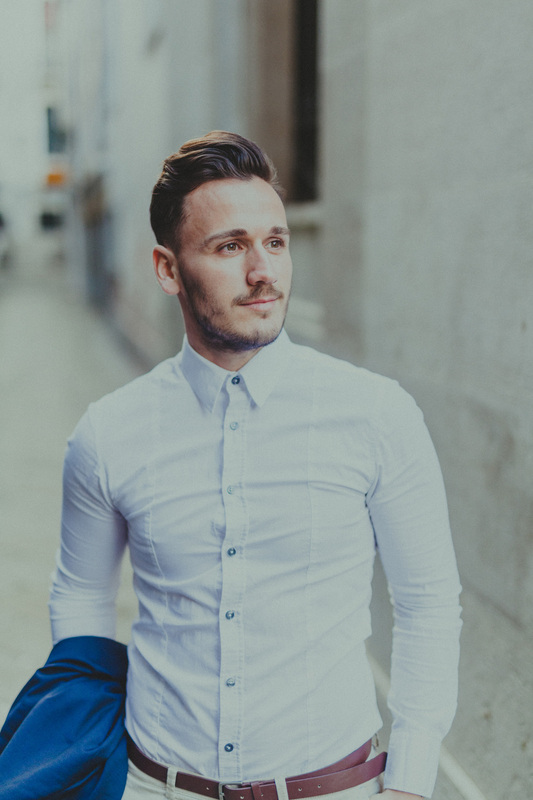 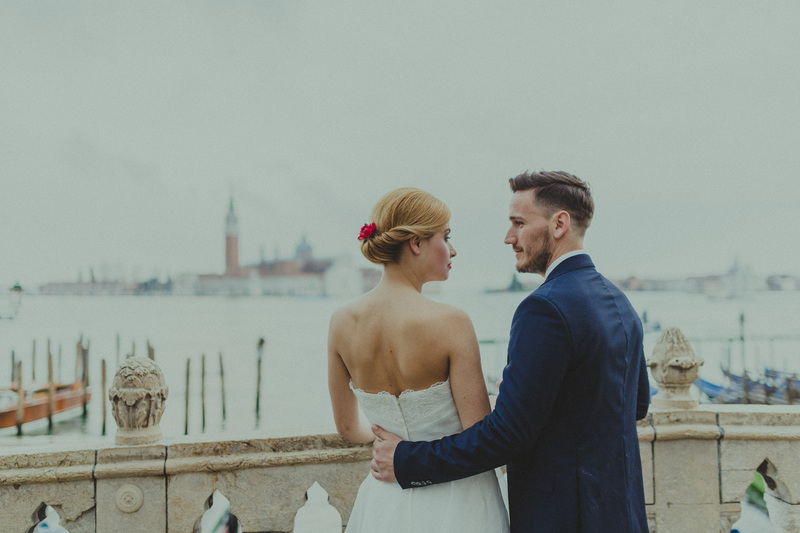 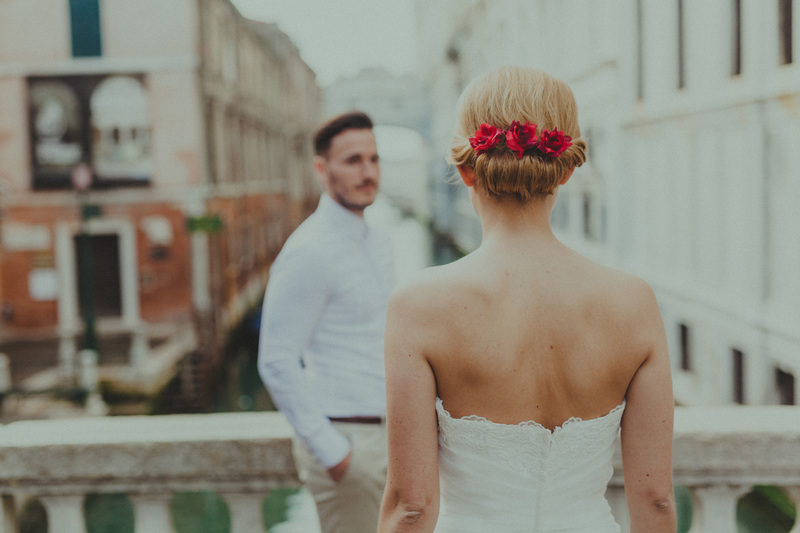 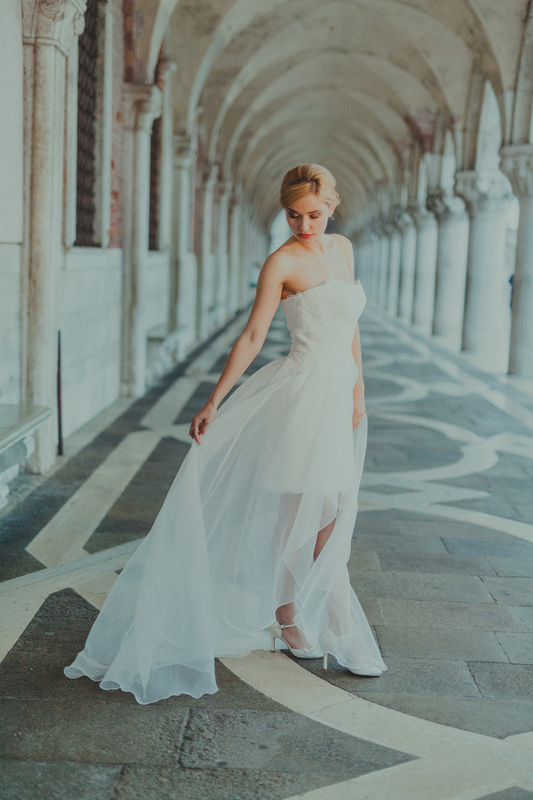 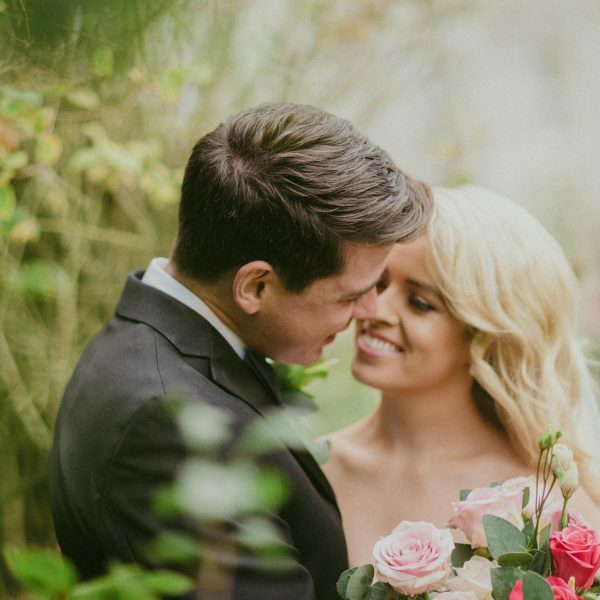 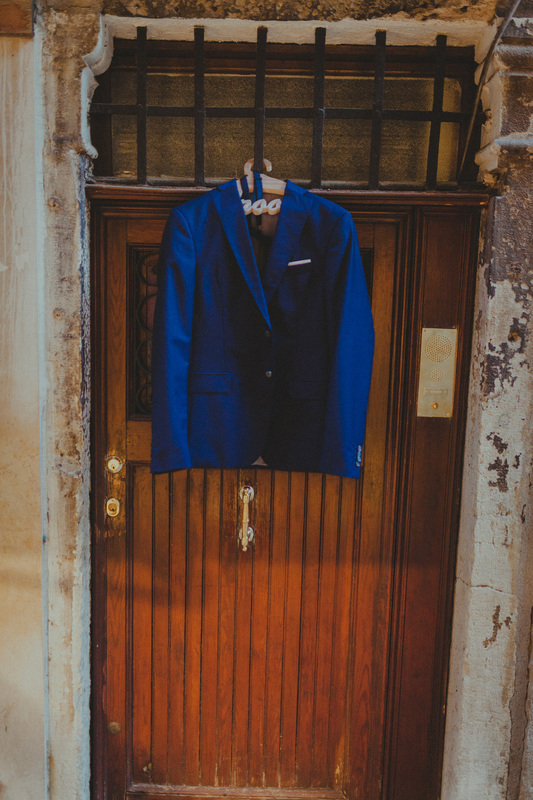 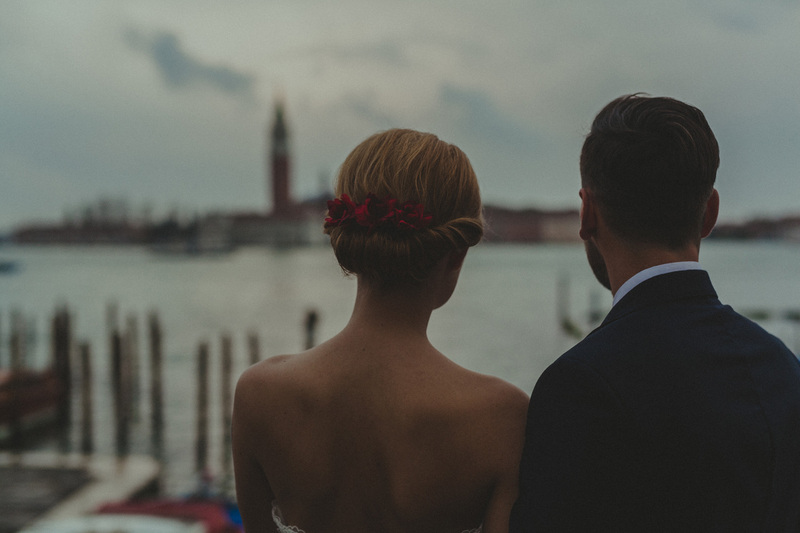 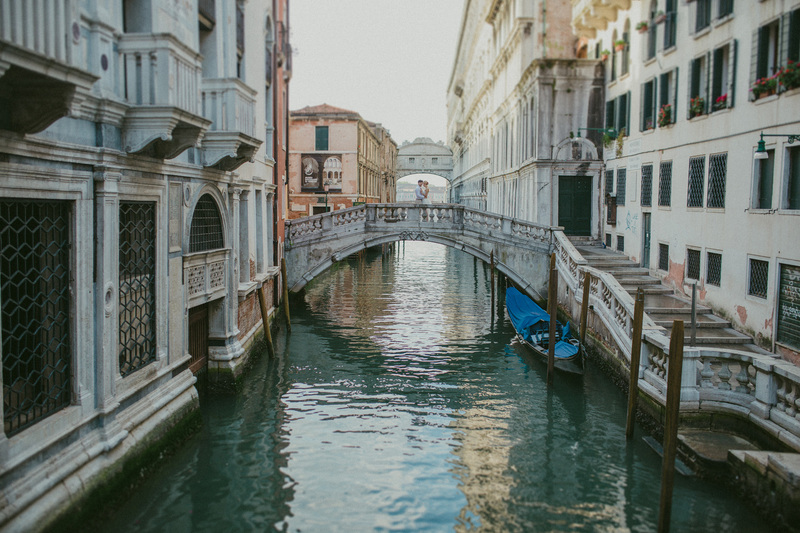 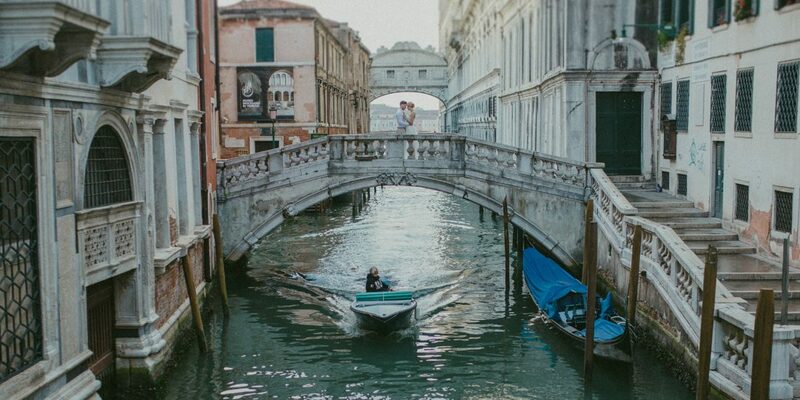 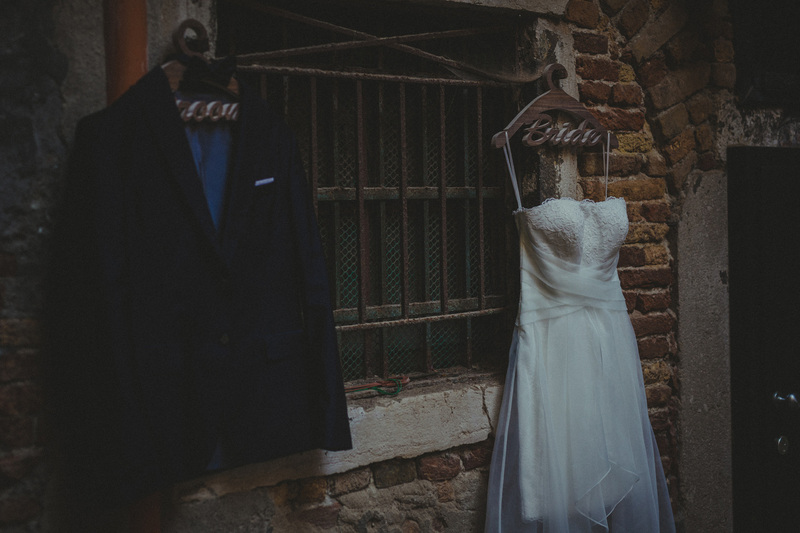 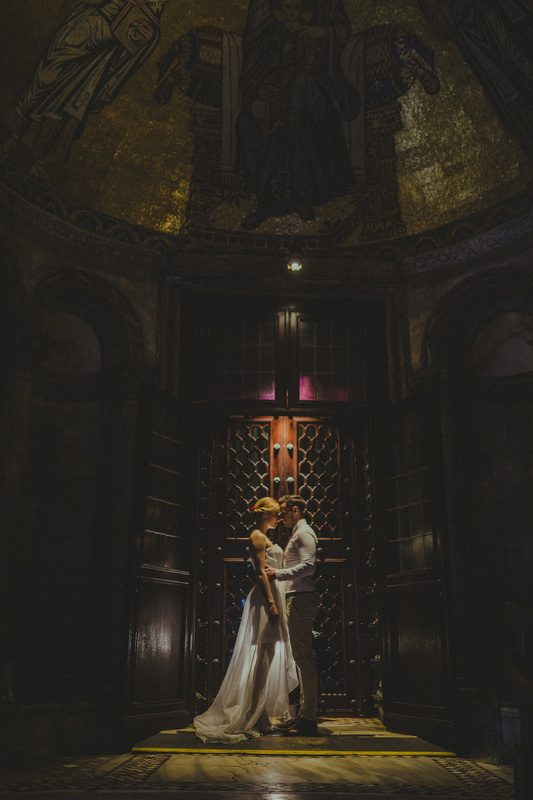 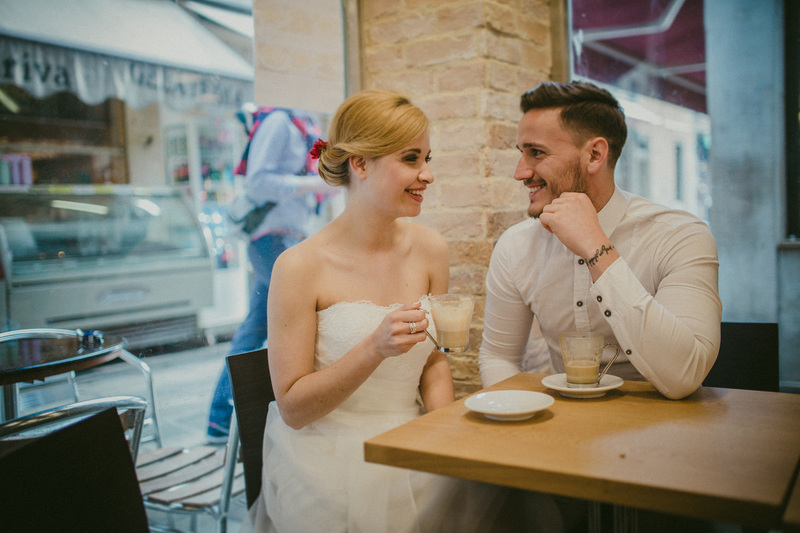 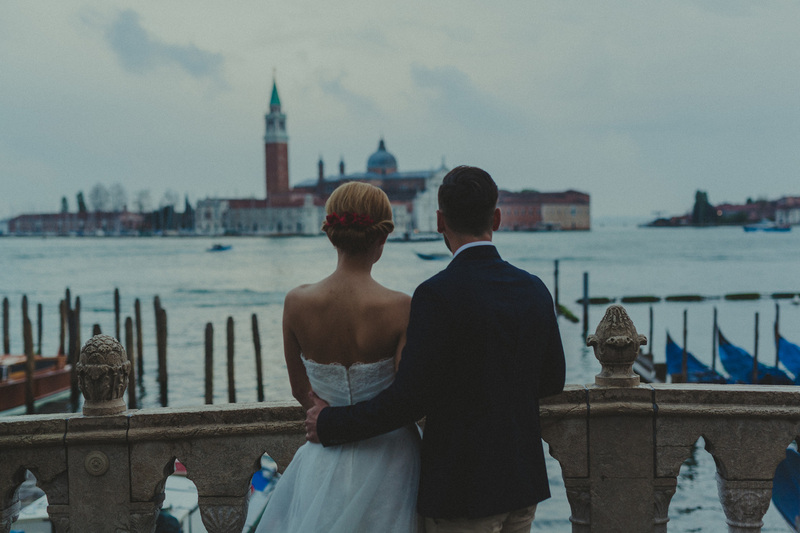 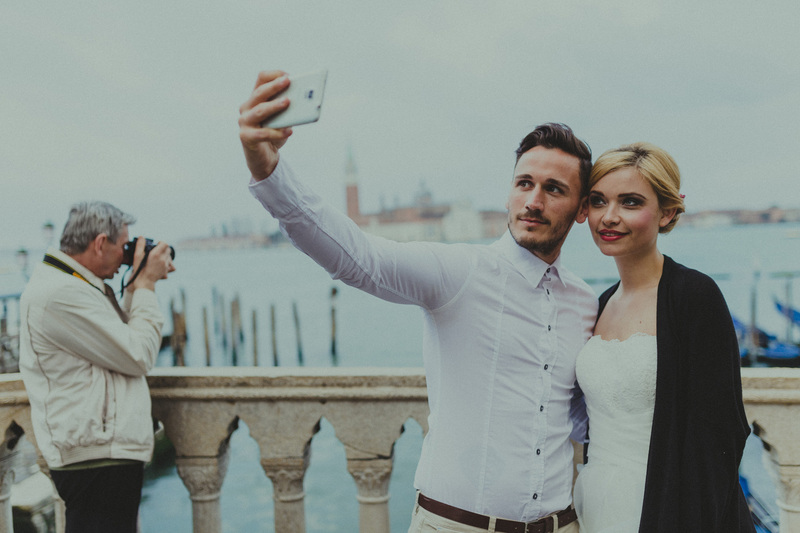 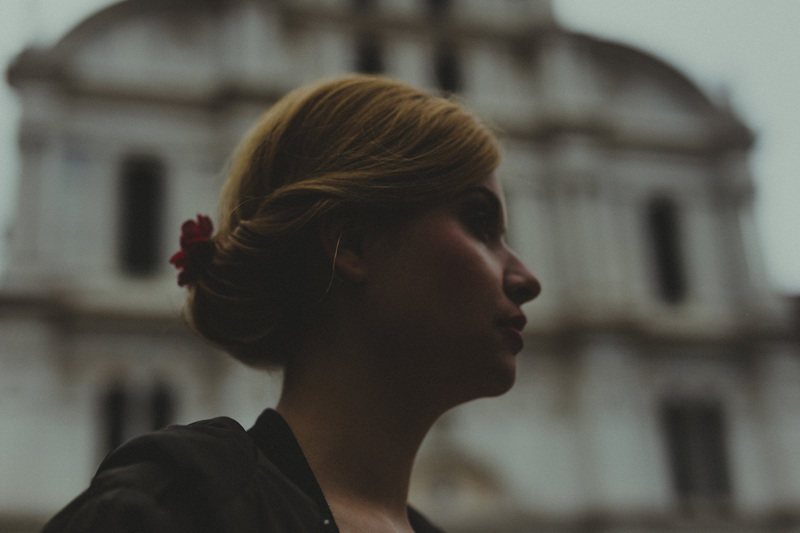 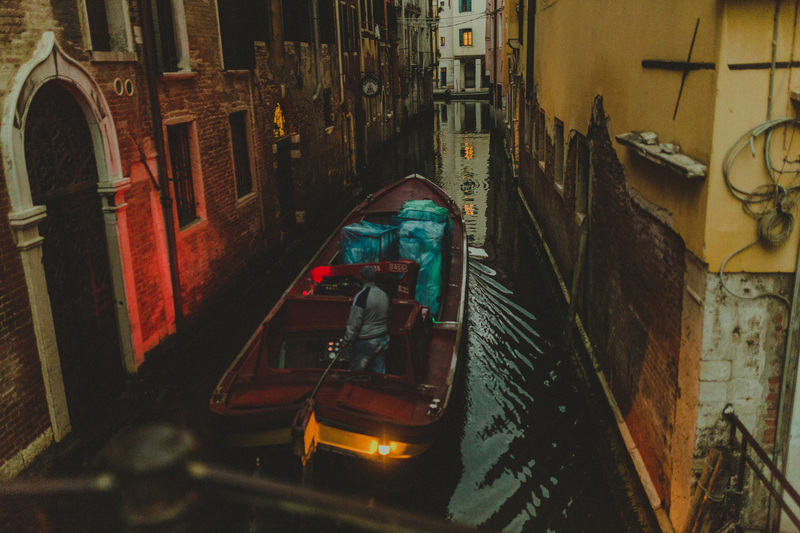 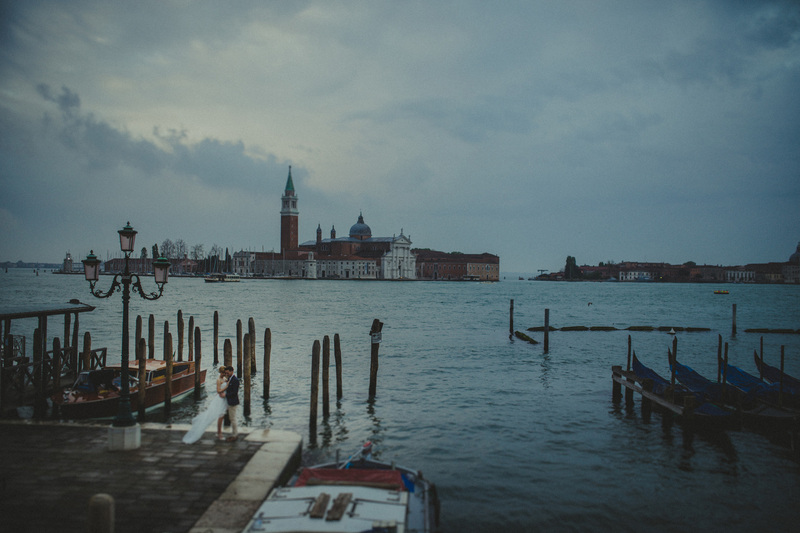 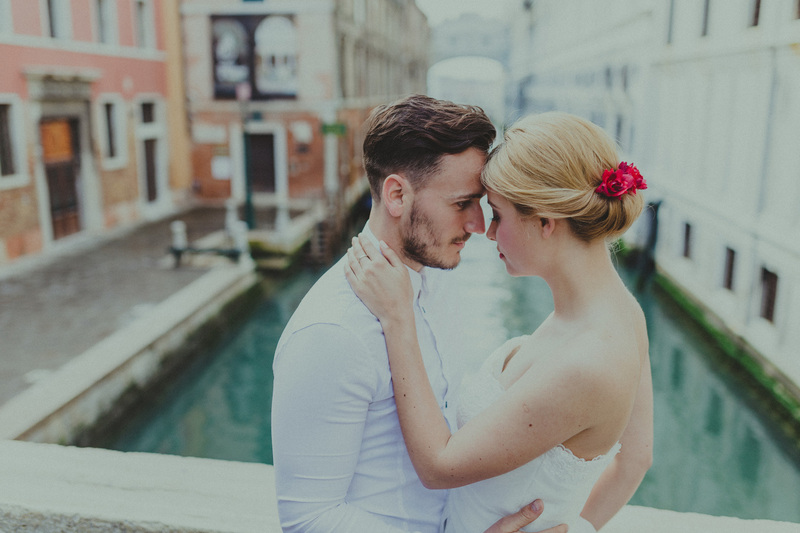 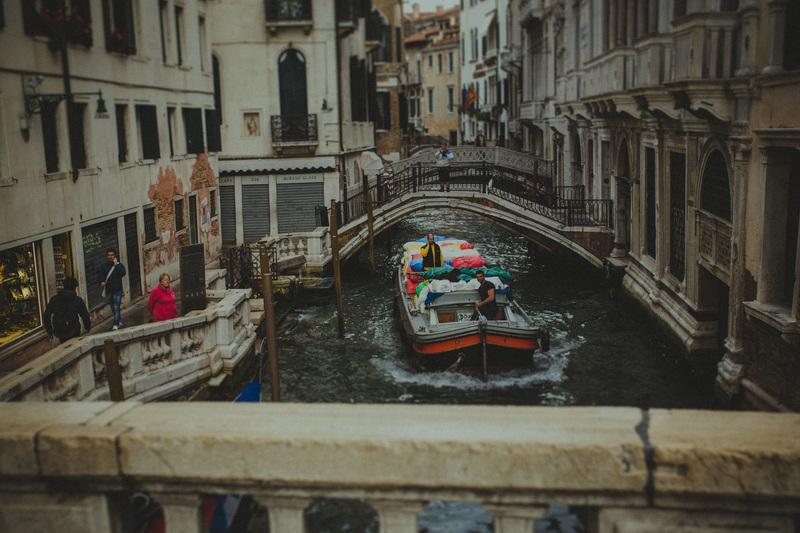 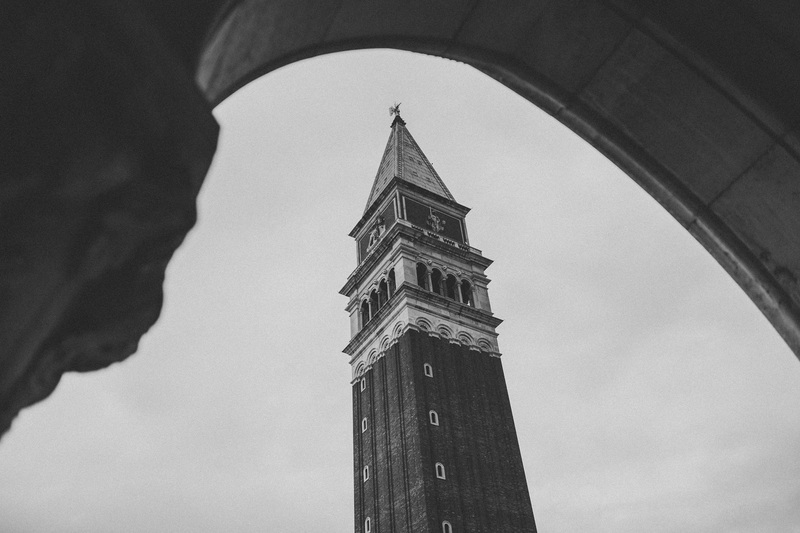 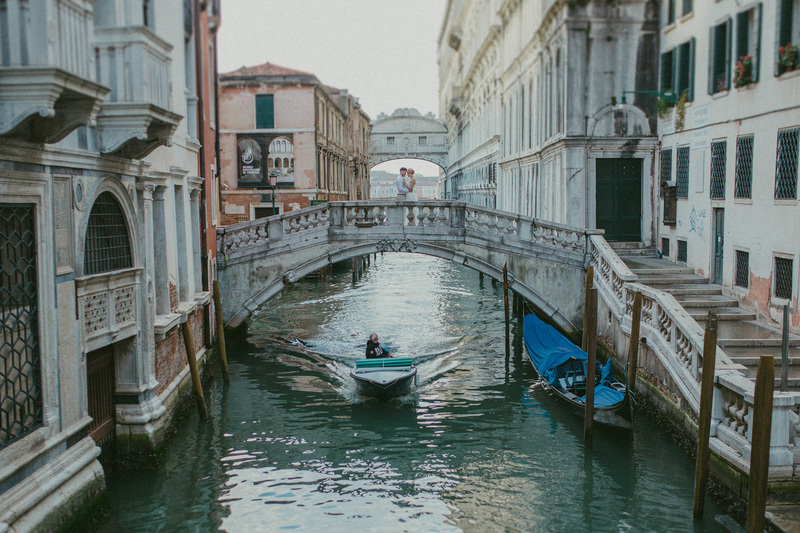 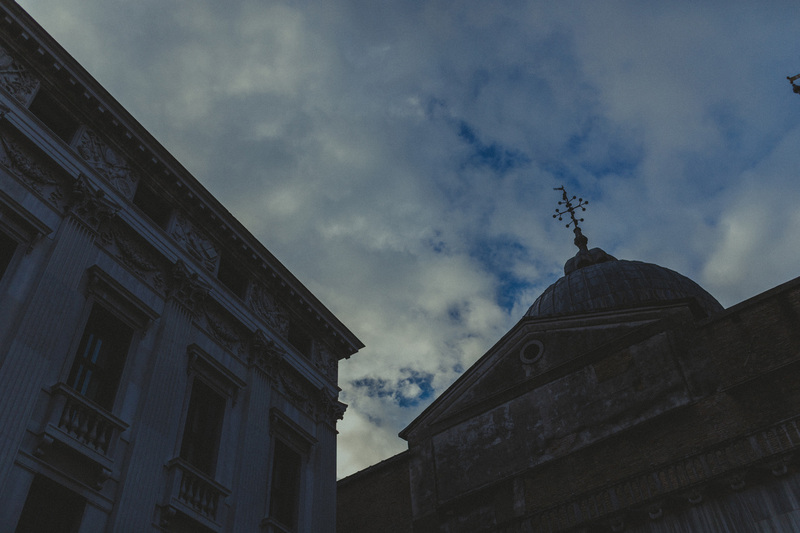 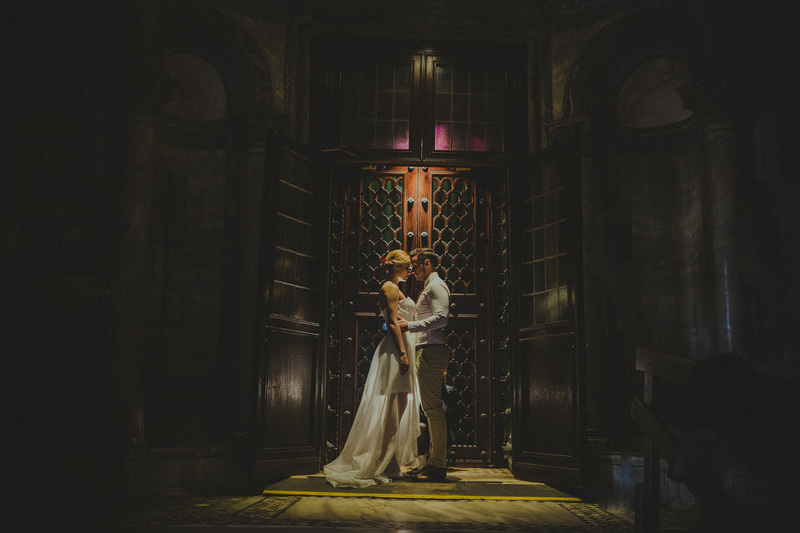 Part 2 of this stunning Venice Destination Wedding elopement shoot saw us venture out in the early morning dawn that descended upon Saint Marks Square. 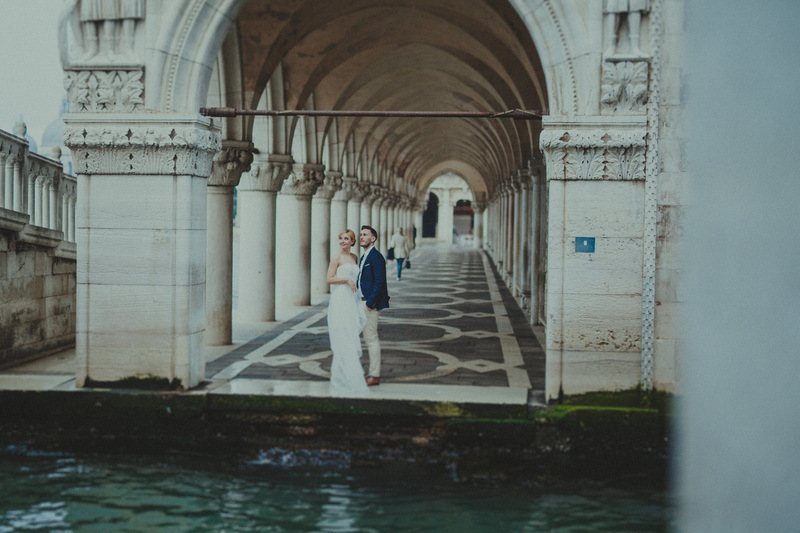 After celebrating late into the evening, the couple were enthusiastic to rise nice and early for some additional venice wedding photos. 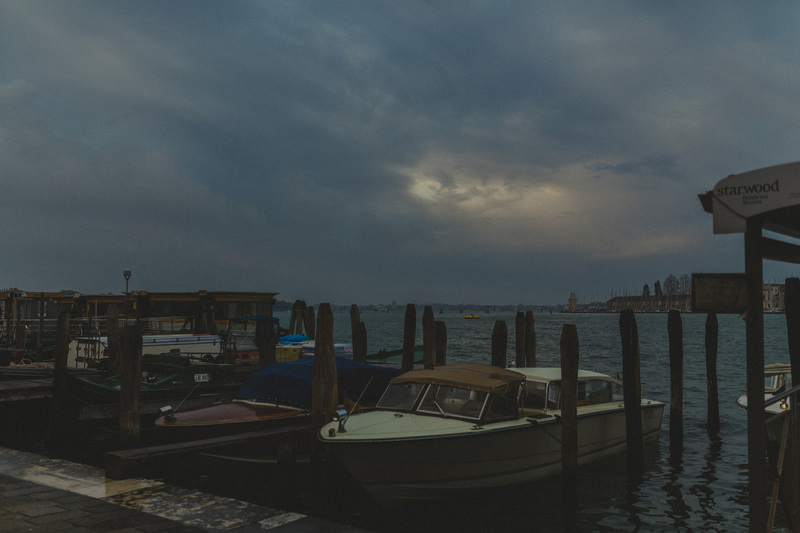 We attempted to chase that early morning sunrise, but the sun was a bit too busy hiding. 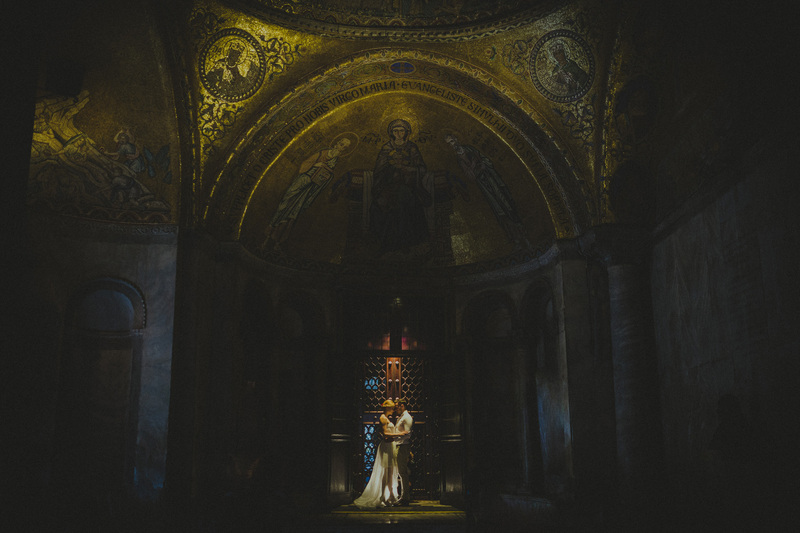 That being said we were still able to capture stunning moments in the quite still of the morning. 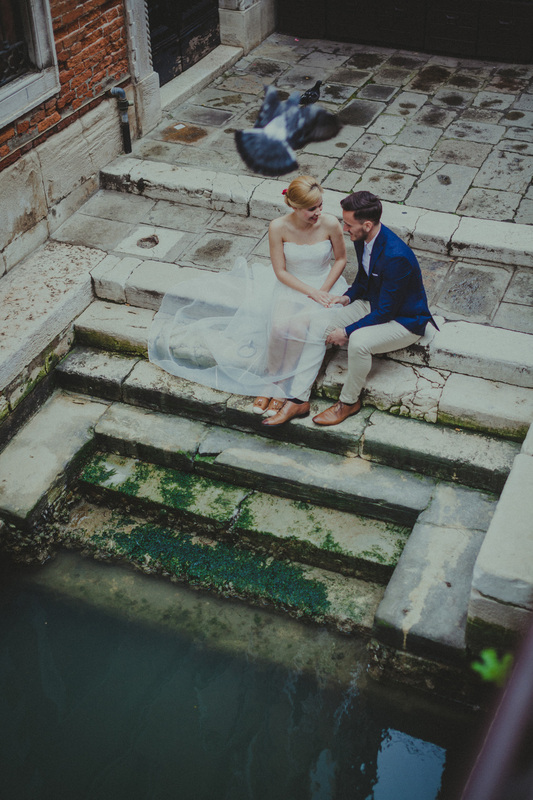 A bit of rain, which never lasts long in Venice, made an appearance which only complimented our shots by providing a glistening sheen along the many cobble stone and mosaic pathways of the city of love. 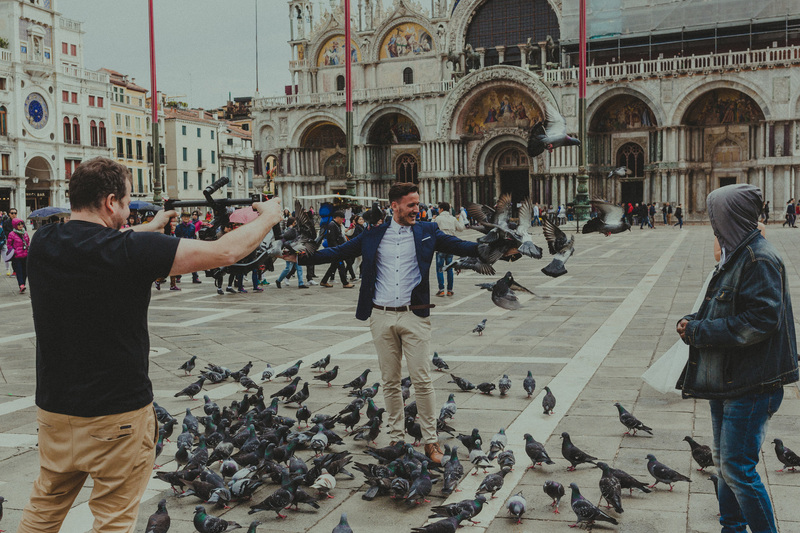 We were also accompanied by some very excited pigeons, who humorously not only landed on my head, but also seemed quite interested in my camera. 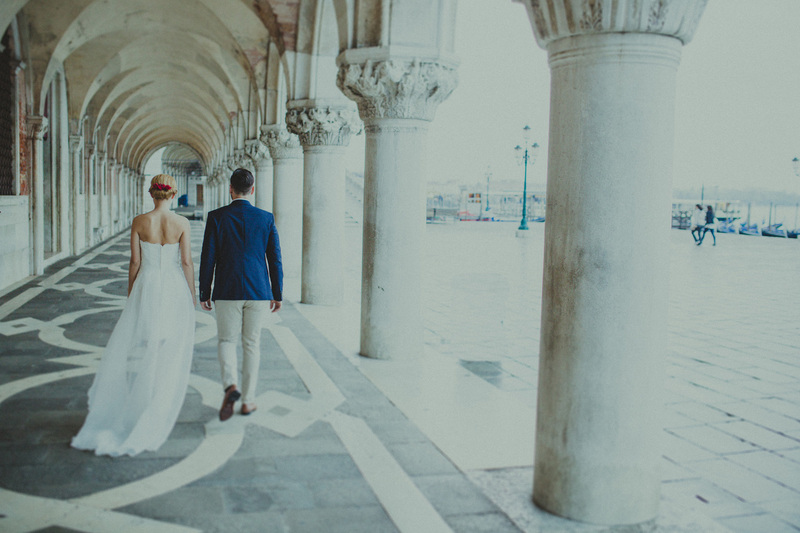 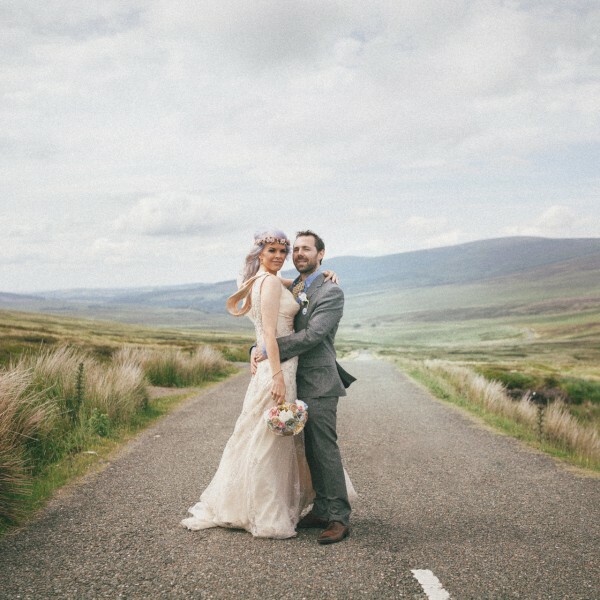 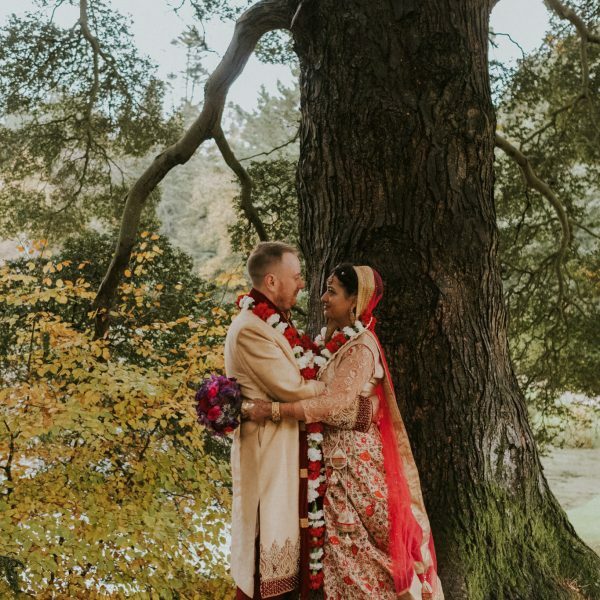 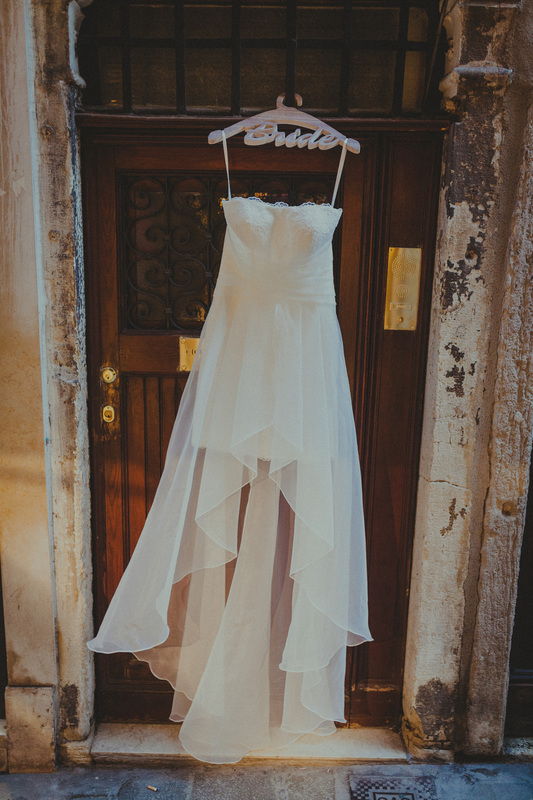 The bride Izabela wore a second outfit by Sanjska Obleka, and she once again looked spectacular.